American Public University (APU) and The Wildlife Society (TWS) today announced a Strategic Partner relationship that will increase collaboration on educational options and support for TWS members. Under the terms of the agreement, TWS experts will continue to participate in APU’s Environmental Science Industry Advisory Council and TWS members will be able to take affordable, quality online courses and earn certificates and degrees from APU. APU’s Environmental Science program offers master’s, bachelor’s and certificate programs, including a fish and wildlife management concentration designed to help graduates qualify to apply for Associate Wildlife Biologist® certification through TWS, according to APUS Environmental Science Program Director Dr. Carol Pollio. “Our courses help industry professionals prepare for this well-respected certification and earn needed continuing education credits,” said Pollio, who earned Certified Wildlife Biology (CWB) certification with TWS and also advises APU’s TWS student chapter, the organization’s only fully online chapter and recipient of the APUS Student Chapter of the Year Award. In addition to continued alignment of curriculum and certification programs, the relationship will provide TWS members with access to more than 190 fully online APU degree and certificate programs. Members are eligible to receive additional cost savings through a tuition grant and a waived transfer credit evaluation fee. The two organizations will also collaborate on a series of podcasts featuring TWS experts and APU faculty that will address timely environmental topics. For more than 75 years, The Wildlife Society has been influencing the future of wildlife and wild places for the benefit of generations to come. Founded in 1937, the organization’s mission is “To inspire, empower, and enable wildlife professionals to sustain wildlife populations and habitats through science-based management and conservation.” The Wildlife Society enhances our members’ networking and learning opportunities, professional and career development, and provides numerous ways for them to get more involved in creating a better future for wildlife and their habitats. 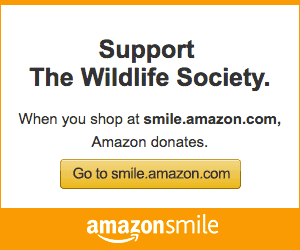 Visit www.wildlife.org to learn more about TWS. American Public University System, winner of the Online Learning Consortium’s (OLC) Ralph E. Gomory Award for Quality Online Education and four-time recipient of the OLC’s Effective Practice Award, offers more than 90 online degree programs through American Military University and American Public University. More than 100,000 students, and 50,000-plus alumni worldwide, have benefitted from APUS’s relevant curriculum, affordability, and flexibility in pursuing and earning degrees in a diverse variety of subjects. For further information, visit www.apus.edu. Information about education partnerships with American Public University System is available at StudyAtAPU/Solutions.